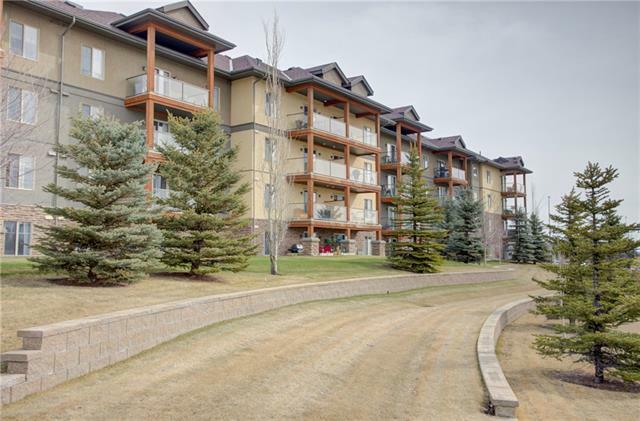 DESCRIPTION ** OPEN HOUSE SAT 20 APRIL 2-4pm* Prime location in Okotoks' only lake community! This family-friendly home features unobstructed views to the back. Neutral colours with a warm and bright feel, including a modern white kitchen and laminate throughout main level living and dining room. Built in desk area & pantry create functionality and storage. The patio doors walk out into your landscaped backyard, with composite decking, and paved back lane. The sunny bonus room is separate from the bedrooms..with mountain views! Upstairs the master bedroom fits all your furniture with an en suite & huge WI closet. Two additional bedrooms and bath complete this level. Double attached garage leads to mudroom with powder room and laundry on main. The basement is awaiting your finishes, with RI plumbing. This well cared for home shows 10/10, located on a quiet street, with lake privileges & views, close to schools, golf, shopping, rec center, parks, and a quick commute to the city... Welcome, Home! 71 Crystal Shores Cr, Okotoks, Alberta, MLS® C4236308 T1S 2B5 is a Detached, 3 bedrooms, 3 bathrooms, approximately 1,707 Sq. Ft. Listing price 419,900.00. This property was built in 2005.